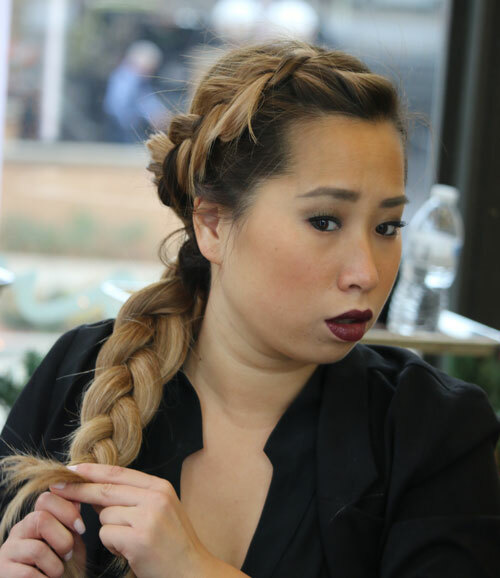 The lob may be taking social media by storm but there’s no denying the versatility and glamour of long locks wrapped into a sweet side braid. Take this look from the office, to the gym and straight to drinks with the girls. It’s the one look the actually looks good all the time. 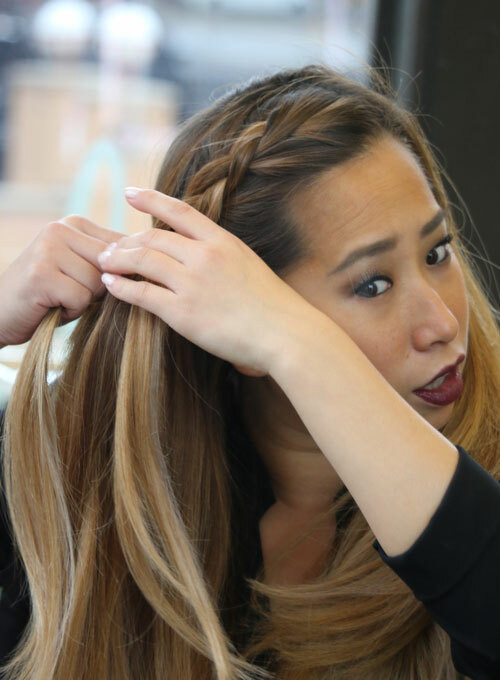 Read on for Neroli Hair Designer, Allison’s tutorial. 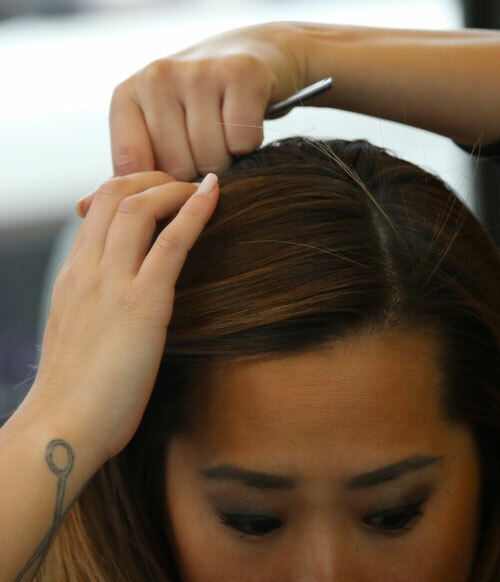 Step 1: Start by prepping the hair with a dry shampoo at your roots for texture. I used Aveda’s Shampure Dry Shampoo. Step 2: Part the hair with a deep side part. From the hair in your side part, select a 2 inch wide section9 and clip the remaining hair out of the way. Step 3: This is where you’ll start your “Dutch Braid” which is the same as a basic french braid, just reversed. 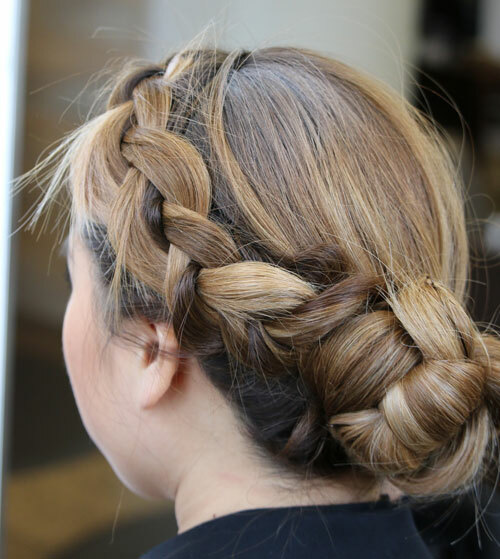 Start your inside-out French braid at the top, taking each section of hair under the previous. 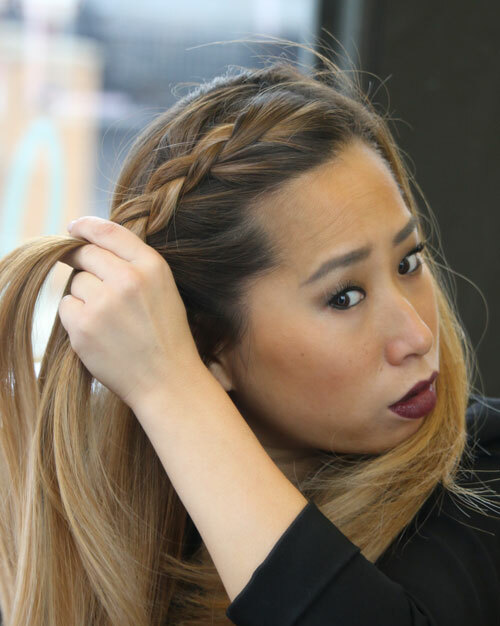 Continue the braid through the ends, leaving a few inches at the end. Secure with a rubber band. 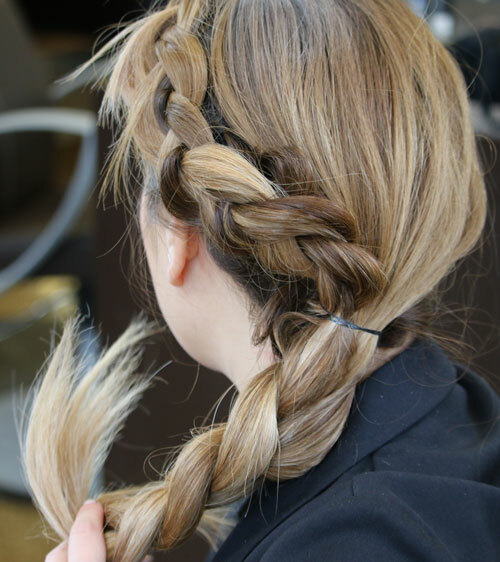 Step 4: Holding the tail of your first braid, push the rubber band up slightly to loosen the braid. 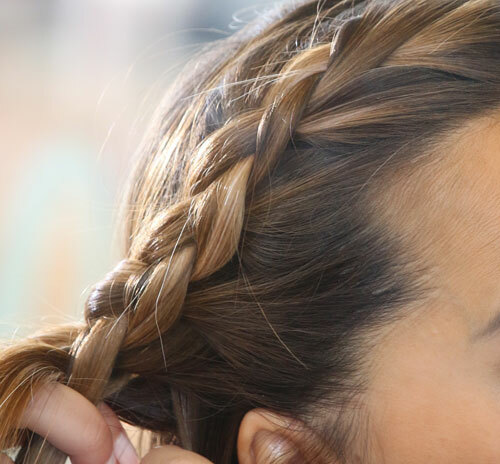 Gently pull apart the braid as you move up the head. 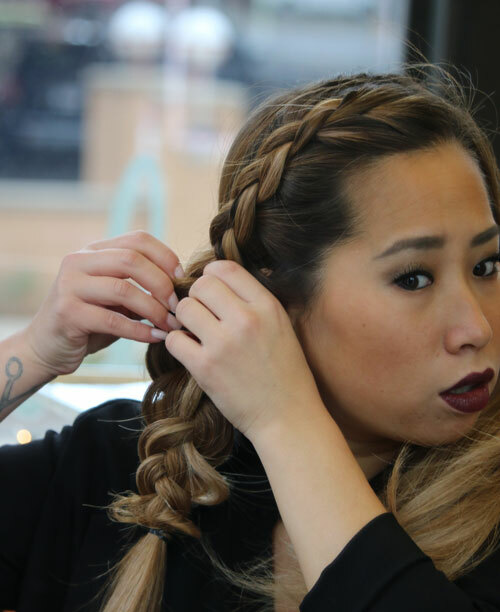 Step 5: When you get to the top of the braid, gently pull at the roots for volume. Step 6: Take everything into a low pony tail and secure with a new rubber band. 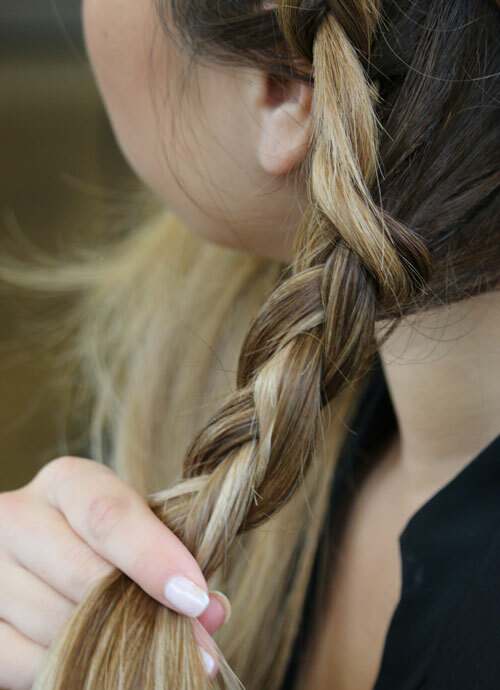 Once you’ve got your ponytail, remove the first rubber band from the braid. Step 7: Braid all of the hair into one long braid. Secure with a rubber band. 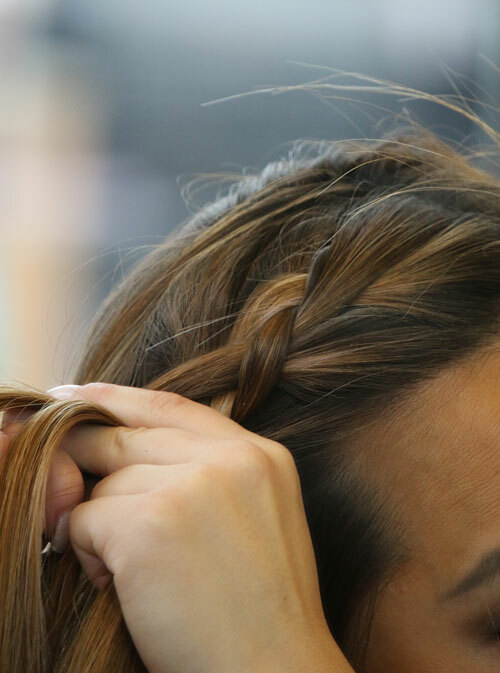 Step 8: Holding a small piece of the hair leftover from the braid, push the rubber band up slightly to loosen the braid, like with the first braid. 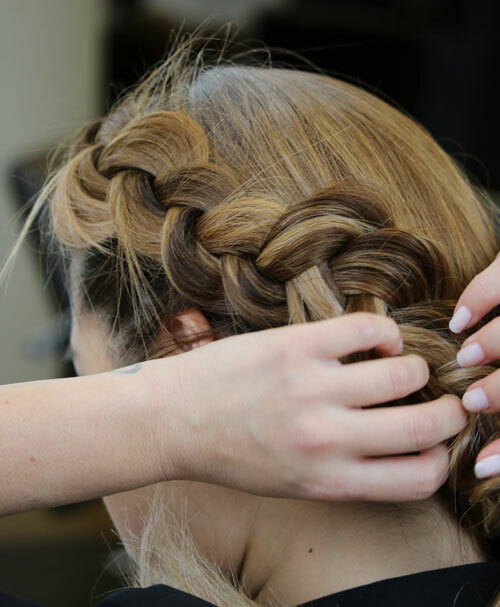 And gently pull the braid apart. 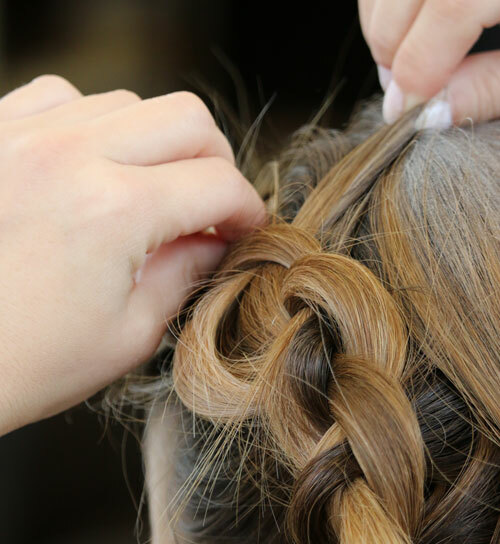 Step 9: Wrap the braid around to make a bun. 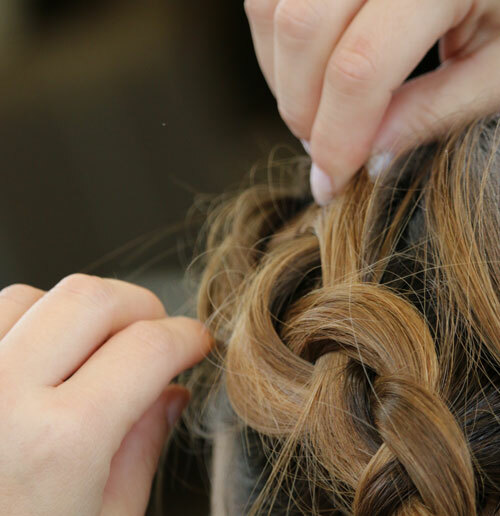 Secure with extra long bobby pins by pinning perpendicular to the head then quarter turning them and anchoring them into the bun. 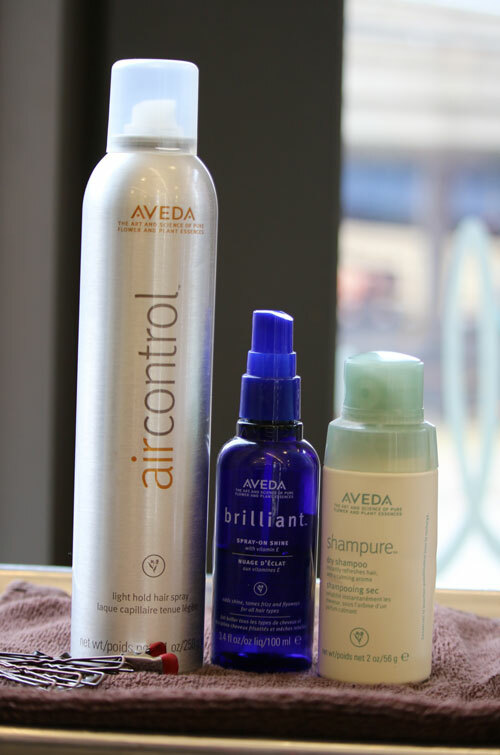 Finish with a light hold hair spray, like Aveda’s Air Control and a finishing shine spray, like Aveda Brilliant Spray Shine for a nice holiday finish. 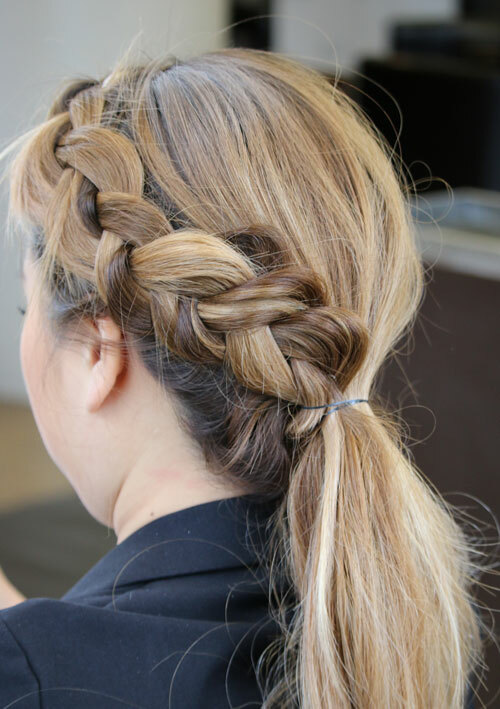 This blog was written by Neroli Salon & Spa Downtown Hair Designer, Allison. 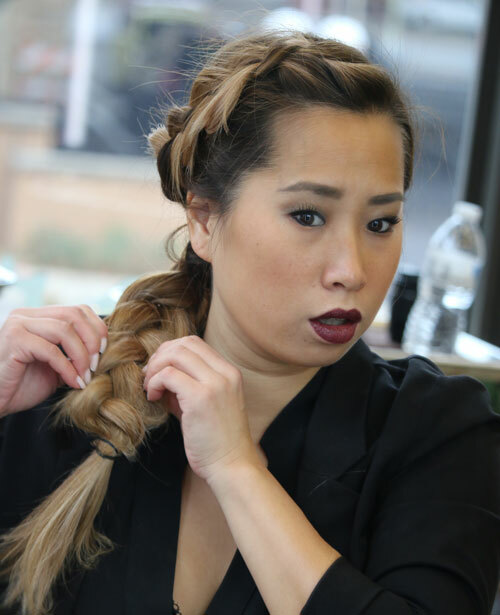 To schedule a special occasion updo, haircut or color service with Allison, call 414.227.2888.